that has caused bloodshed for generations. hide an ancient artifact from the kingdom's enemies. a fifteen year old girl and her mastery of powers she doesn't understand. 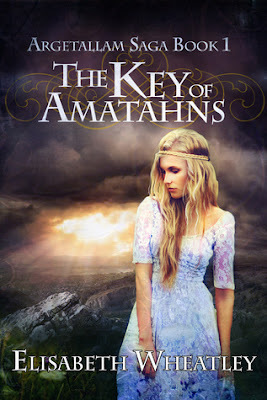 Review: The Key of Amatahns by Elizabeth Wheatley is a spellbinding fantasy adventure! The story starts off with a prologue, a very good one. I know prologues aren't to everyones taste, but when it comes to fantasy I think they add so much to a story. I feel like they're necessary in a way. Wheatley's prologue is executed to near perfection, at establishing the story and introducing her world before the main action begins. There is something very special about this story. For starters it is very well-written, especially considering how young the author was (only 15 when the first edition was published, I believe.). It reminds me of older fantasy stories, such as the Fellowship of the Ring by J.R.R. Tolkien. 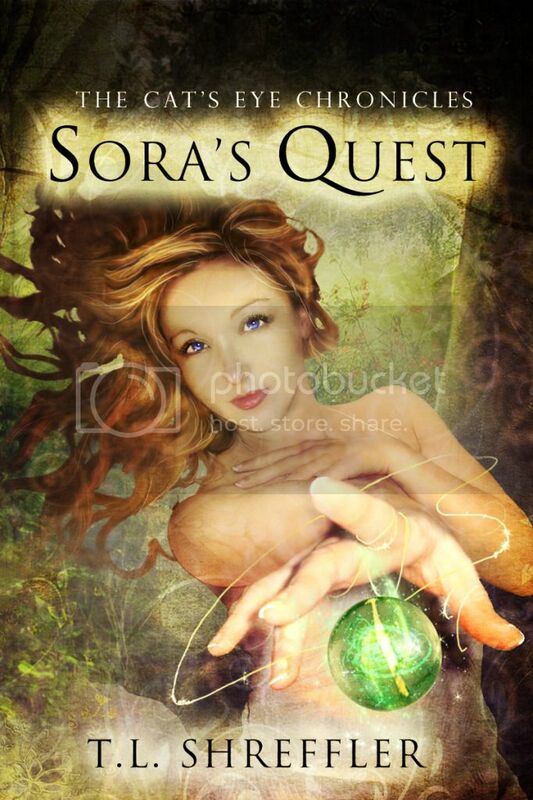 It has the same sort of quirky, realistic, indirect path of the quest. It doesn't just jump from confrontation to confrontation, there's some stopping, some snacking, and some treasured restful moments. An occasional interruption to the quest. There's a realness to that, that makes the quest more believable and gives the characters more depth. Janir was a captivating main character, very contemplative and thoughtful. She has very strong heart, despite all the trials of her life so far. Like most teenagers she is trying to figure out who she is, although in her case this is made more difficult by her circumstances. However, my favorite trait that she possessed is mercy. 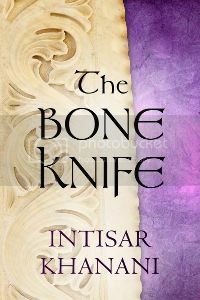 Janir has the opportunity to abandon someone who has hurt her numerous times, but she makes sure he makes it out of danger and speaks up against killing him. Janir's friends and allies are no less engaging. Her best friend, an elf called Saoven, is cool just for the simple fact of being an elf (elves are automatically awesome). But he is a good friend, especially considering the negative view that most of his people have of Argetallam. Janir's most unlikely ally is Karile, who is...unique. Okay, so he can be really annoying, but after while he grows on you. And he is a loyal friend, even if he doesn't seem like it at first. Armandius, Janir's adopted father is everything a dad should be, kind, and compassionate, and supportive. I love how he treats Janir with as much consideration as he would his own daughter. Now onto the villains of our story. Janir's brother, Lucan is a jerk. A big jerk. And yet despite the awful things he does, the reader (and Janir) still feel sympathy for him. After all, having the Lord Argetallam as your role model is bound to screw anyone up. Speaking of the Lord Argetallam, grrr...I really, reaallly don't like him. Dude is straight up evil. Wheatley's world is so enthralling, I love all the details and the intricate history of the different lands and peoples. Also the creatures, like the Mazag, who are scary. Nothing worse than a creature that wants to have a conversation before it kills you. That being said they are very interesting and I hope to see more of them as the series continues. A favorite scene of mine was the market, reminiscent of Hellboy, with all sorts of various creatures and wares, I loved it! THANK YOU SO MUCH!!! This means the world and I'm so glad you liked it!